Pierate - Pie Reviews: British Pie Awards 2018 - Live! 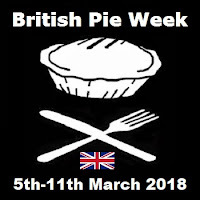 The day of the British Pie Awards has arrived! 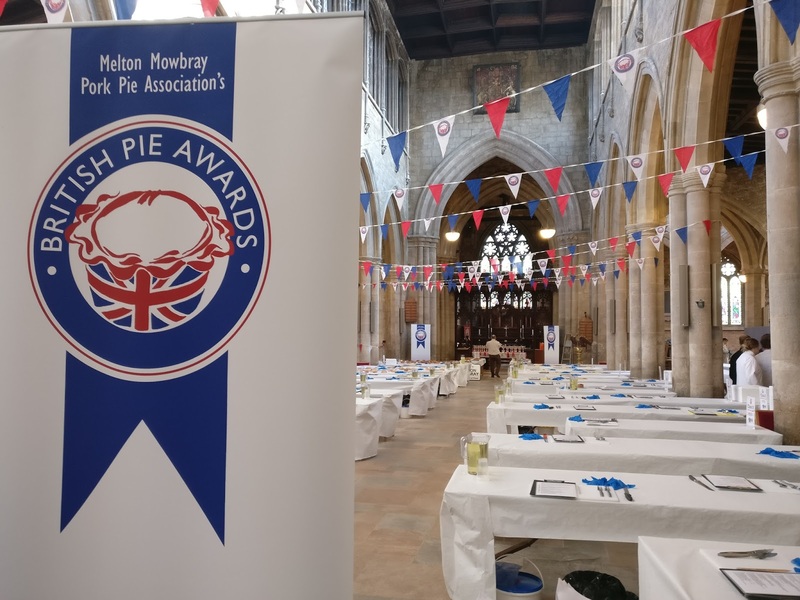 Held in the heart of pork pie country - Melton Mowbray - the scene is once again set for around 120 judges to rate well over 900 pies from across Britain and beyond! Of course you won't be surprised to know we've been invited again this year - having been a judge, media or helper at the British Pie Awards since 2013 - and this year we're there as judge (Sam) and media (Rob) to give you the inside scoop of what takes place - Live! More than 900 pies entered from a record 179 piemakers. Around 120 judges will spend about 4 hours chomping their way through the best pies in the land. What's not to like! As great as the alternative venue was last year, we're glad that we'll be back where it all began as the 10th annual British Pie Awards heads home to St Mary's Church in the heart of Melton Mowbray. 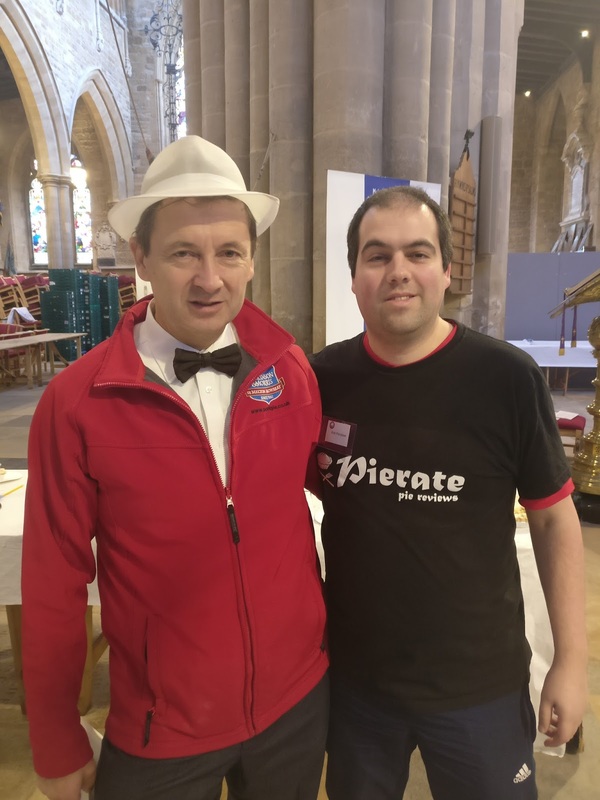 And as well as looking forward to seeing lots of our pie friends at the Awards, we're looking forward to sharing our ex-pie-tese with fellow judges and a close friend of the blog Ben (who is kindly taking us to the awards and being a fellow judge alongside our very own Pierateer Sam). As you may know the British Pie Awards use a significantly different set of criteria to us (rather than the 7 Cs of pie rating that we have used to rate over 600 pies on Pierate) but there are very few pie experts with more ex-pie-rience than us when it comes to the pie-fect pie! So check back here during the day for live blog posts below and on Twitter and we hope you enjoy hearing about the British Pie Awards 2018! 8.30 It's been another early start for Pierateers Sam and Rob but they are now on their way to Melton Mowbray for the British Pie Awards 2018! This is the first time they've done the journey by car (thanks fellow judge Ben!) and we look forward to chatting pie and building up to the greatest show in pie on the car journey there! 09:51 Three hours from Gloucester and two hours from Birmingham but we have finally arrived in Melton Mowbray!!! Show us the pies!!! 10:15 So we've had a light breakfast as pie judging commences in about an hour but we're already getting in the zone and taking in the ambiance. 11:00 The head judges have had their briefing and now it's the regular judges getting their briefing! Colin Woodhead the new chairman is telling all the judges what to look for in a good pie! 11:15 Consistency is the key advice for the judges as they get ready to go to their tables! Soon to have the official opening remarks! 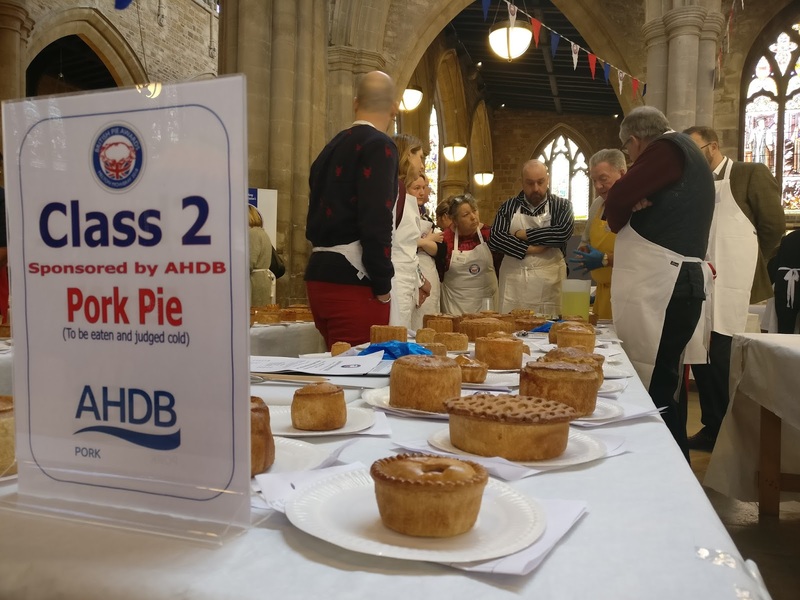 11:20 Chairman of the Melton Mowbray Pork Pie Association Matthew is welcoming people and sharing a few top tips about judging today. 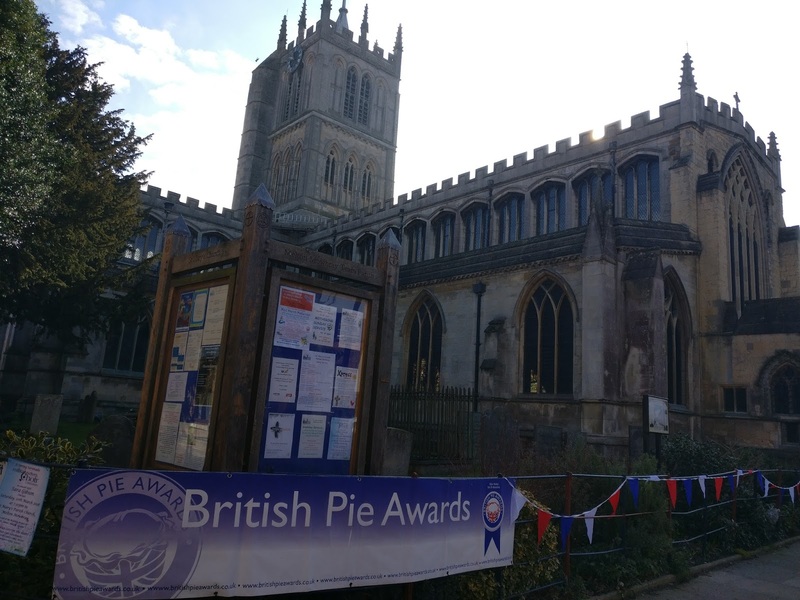 11:25 The Vicar of St Mary's church in Melton Mowbray - where the pie awards are being held again this year - has just blessed the pies with a brief prayer thanking the pie makers for all their hard work in baking! Amen to that!! 11:40 With the control pie done it's time to get cracking on the actual category pies! Who's going to win a gold? Who will be supreme champion? We'd better get pie rating!! 12:15 The church is abuzz right now. 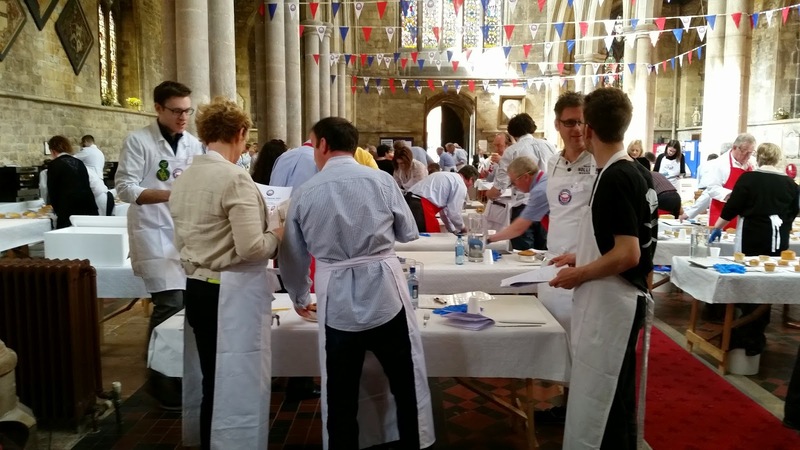 Having spoken to a number of judges already, there are lots of great pies being judged! 12:35 Controversy in the Savoury Pie (cold) class as a pie with a stilton lid - rather than pastry - got disqualified!! 12:45 In the beef and any flavour category, pie blogger Katie Peel (@awaydaypiegirl) has enjoyed a number of great flavours but the beef and haggis pie stood out! 13:05 The pies are still flowing out of the ovens as we enter the third hour - with some interesting flavours in the Speciality Meat and Game Pie class. Rabbit, venison, wild boar and duck among the entries! 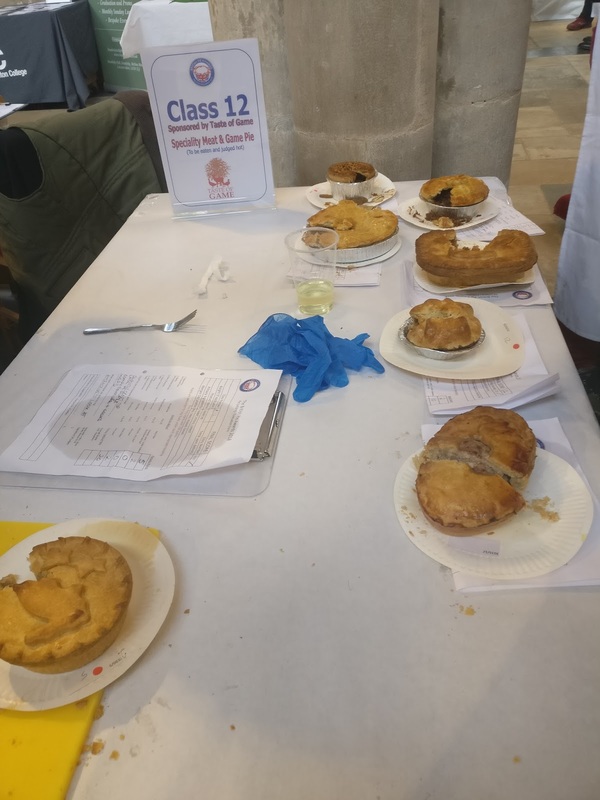 13:45 Some of the pie classes are starting to decide on their top 3 (which are the pie makers that get invited back on Friday for the unveiling of the class winners) but others are still in full flow! 14:15 More pie classes are starting to draw to a close and the top 3 pies in each class are being chosen. The top pie in each will be considered by the head judge to choose our supreme champion! 14:40 And with that the pie awards are done! The top pie in each class is being moved to the champions table and tables are now being packed away! 14:45 Thanks to all those who have stopped by for chats and we'll write up a full article soon, after the results are out on Friday! Stephen Hallam and Pierateer Rob! 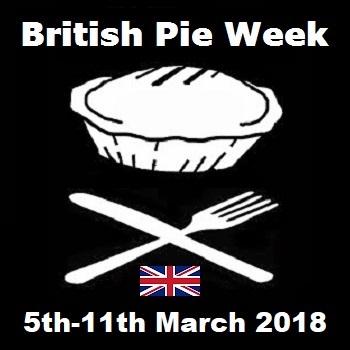 The winners at the 10th annual British Pie Awards will be announced on Friday 9th March on the @BritishPies twitter feed and updated on the British Pie Awards website. 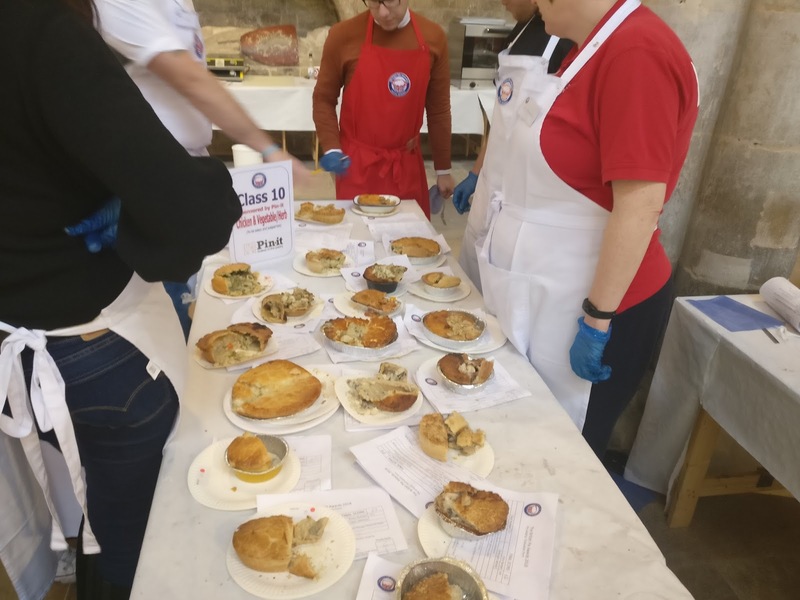 If you want to find out more about the British Pie Awards 2018, check out our Countdown to the British Pie Awards article. Did you know? This is the third time that the British Pie Awards are happening in British Pie Week, following a successful but controversial first time out in 2016 when a pasty was crowned supreme champion and a more regular win for Dickinson and Morris Pork Pie in 2017!